Camden Riviere has been in London Queens club practicing to defend his world champion title. During his stay he found time to stop by MURTC and challenge two of our students for a friendly game. With him he had Sean Quinn, founder of Gold Leaf Athletics. On the side of MURTC we had Lennox Johnston and Joshua King. 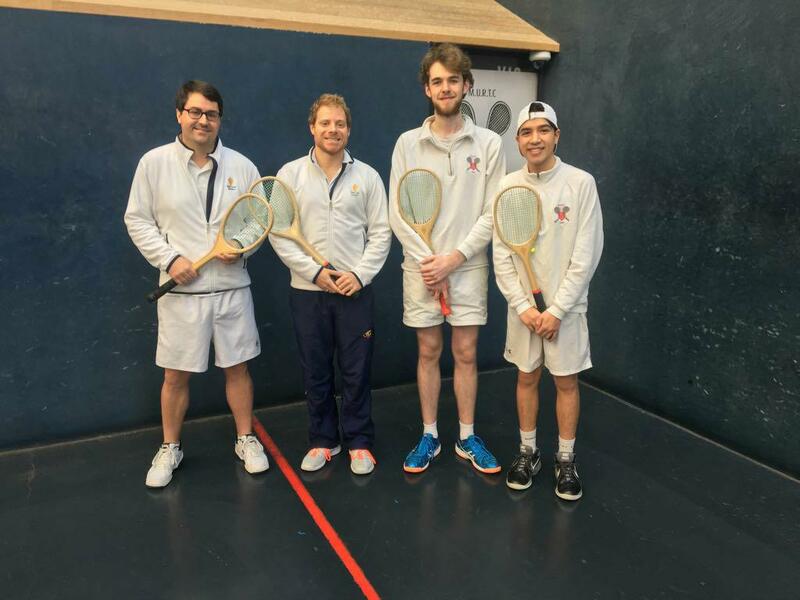 The match inspired an impressive turnout of members, students, juniors and Real Tennis dogs alike.